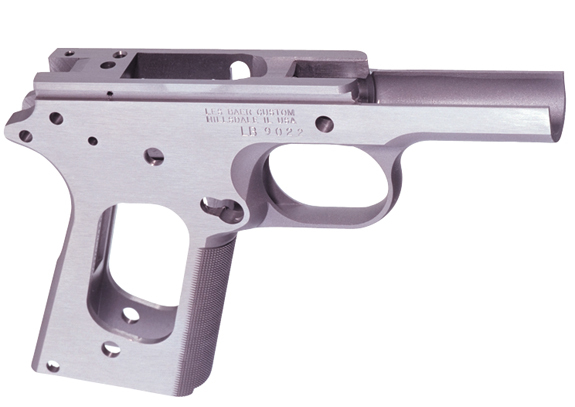 Our superior match frames are much more than just the foundation on which we build our guns -- they're the primary building block on which our business and our reputation have been built, as well. No 1911 frames anywhere compare to Baer frames. That's why they've become the hands-down favorites of so many other custom gunsmiths. We hold the tightest tolerances in the industry to guarantee consistency. We can guarantee that consistency because we do all the machining ourselves on our own CNC equipment. And all our frames come standard with beveled mag wells. Note: Stainless steel frames are also available, as well as reduced Commanche" and “Stinger” size frames. All Baer frames are available separately or paired with Baer slides, individually hand fitted for the best possible fit. 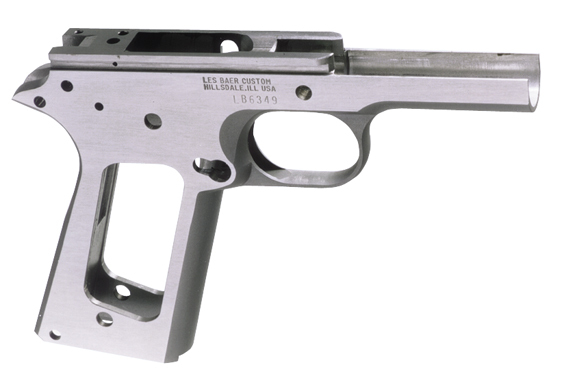 Les Baer Custom’s patented, all-steel Monolith frames are also available (not pictured).